This year’s tour, while including private gatherings for supporters of the Theodore Roosevelt Medora Foundation, will focus on giving back to North Dakota seniors living in assisted living facilities. 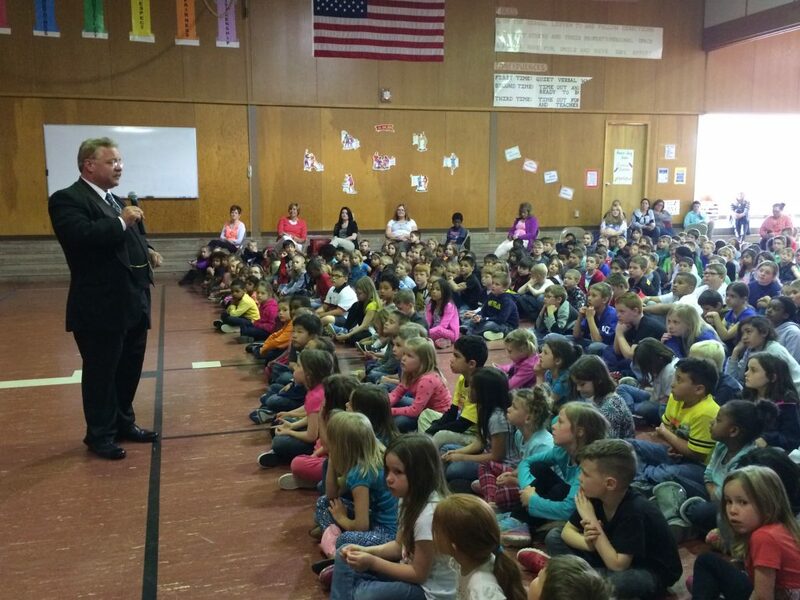 TR speaks with a school group. 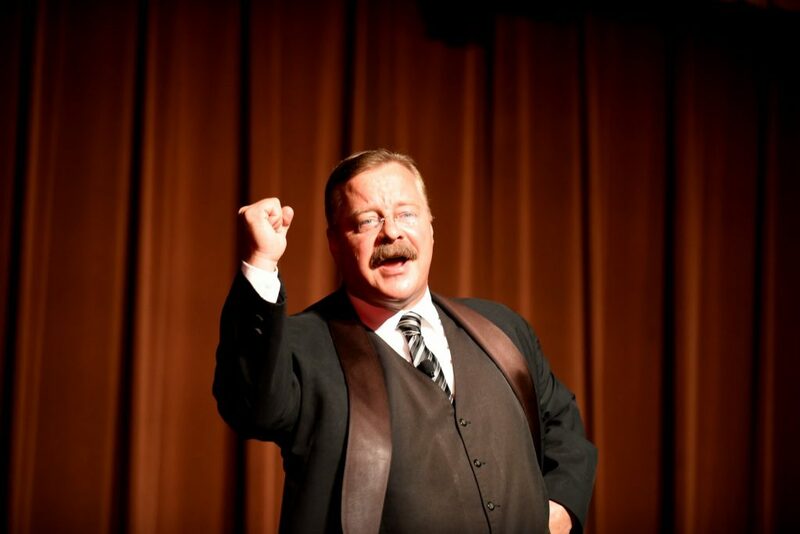 Medora’s Theodore Roosevelt is portrayed by the renowned repriser, Joe Wiegand, who travels internationally bringing the 26th President to life. Wiegand has performed as Theodore Roosevelt at the White House, for documentaries on the History Channel, at Wrigley Field during the 2016 World Series, and during the Centennial Celebration of the National Park System in 2016, to name a few. A TR Salute to Medora shows June 1 – September 9 in Medora. 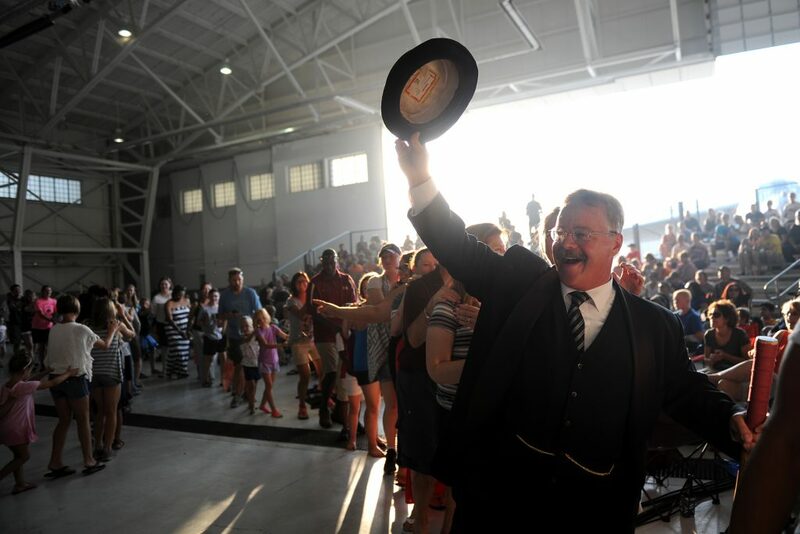 Wiegand reprises Roosevelt all summer long in Medora, in his entertaining and historically accurate show A TR Salute to Medora, that shows June 2 – September 9 this summer. The full schedule of donated shows is below. Media and family of residents are invited to attend. Each show is slatted to run approximately 40 minutes with additional time for interaction with residents, guests, and media following. More information about “Medora’s TR” can be found at MEDORA.COM or TeddyRooseveltShow.com.